The Zanthar are invaders from another world who extend their own lives by stealing the life-force of everything around them. They were last seen on KalaDene 200 years ago. They have returned, looking for The Vessel, a being prophesied to hold the life-force of the land. Iwan is a slave to the Zanthar, descendant of those taken as slaves the last time the Zanthar visited this world. He is sent out as a spy, while his mother is held hostage to ensure his compliance. When Ashael meets Iwan in the forest, neither realise that she is the one the Zanthar are looking for. 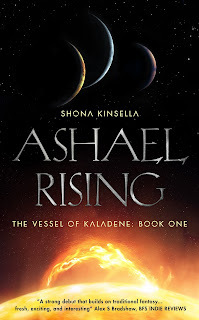 The fate of KalaDene and all of its people rests on her shoulders. 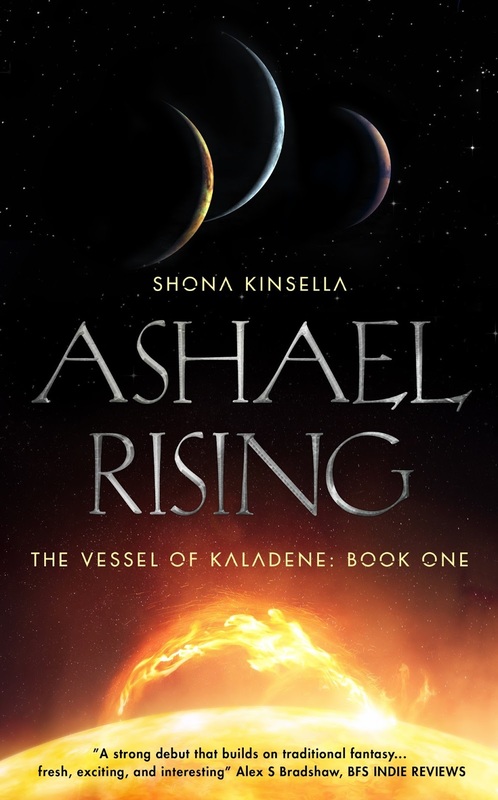 Author Bio – Shona Kinsella is the author of Ashael Rising, (Unbound, 2017) the first in her series, The Vessel of KalaDene. She is also one of the editors of the British Fantasy Society’s fiction publication, Horizons. When she is not writing or wrangling her three children, she can usually be found with her nose in a book.